The transfer window may have slammed shut more than a month ago but that didn’t stop us from unveiling our latest #ChooseRespect signing last night. We are delighted to add Pollok United Soccer Academy, one of Glasgow’s biggest football schools, to our list of supporters as we continue to dial up our campaign to get Scotland’s youngsters engaged with the #ChooseRespect message. Katie Ferguson, director at respectme, visited Pollok United Soccer Academy on Wednesday 6 March to attend the first #ChooseRespect anti-bullying workshop with the 2006 and 2007 age groups, as the football group commits to integrating regular anti-bullying sessions into its training programme. Pollok United Soccer Academy is affiliated with the iconic Glasgow club Pollok FC, which has plied its trade in the city’s Southside for over a century. The club works with hundreds of children aged eight onwards from across Glasgow through its boys, girls and disability football teams. Pollok United Soccer Academy’s Andy Elliott spoke about why they were so keen to get involved with the campaign saying: “It is a great opportunity for the academy to engage with our members and ensure this anti-bullying campaign reaches as many young folk in our community as possible. The workshops form part of the #ChooseRespect campaign which is currently in its second stage, ‘Celebrating Difference’. The sessions ask young people to explore their attitudes to difference as well as thinking about what they can do contribute towards a culture of respect and inclusion in their communities. 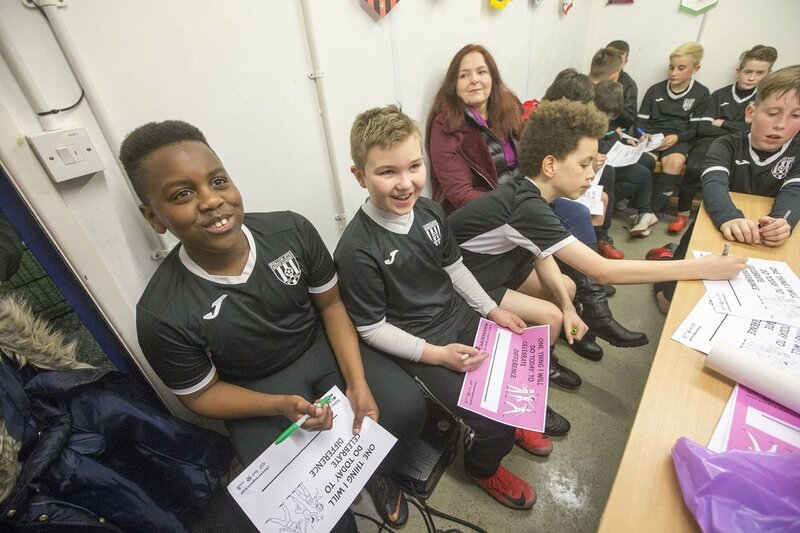 The quick and engaging sessions can be delivered by anyone working with children from school teachers and youth workers to football coaches and Scout leaders using the range of free resources available. With two stages of the campaign, ‘Building Empathy’ and ‘Positive Relationships’ still to come before the end of the school year and football season, there is still plenty of time for others to get involved. The materials for all stages of the campaign are suitable for young people of primary and secondary age and are all free to download here. ©respectme 2018 SAMH is a company limited by guarantee registered in Scotland No 82340.